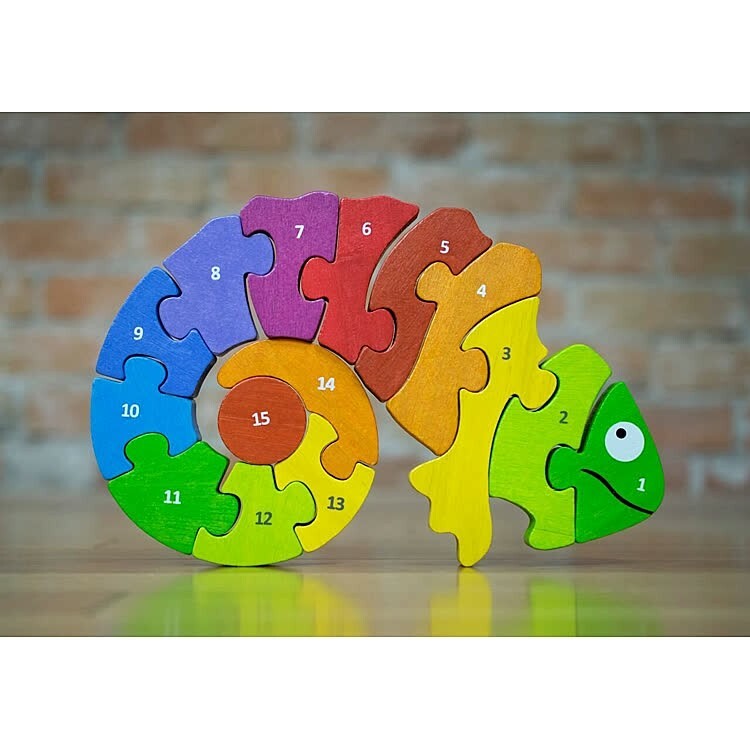 With Counting Chameleon rubberwood puzzle, kids count from 1 to 15, and see the numerals on one side of each puzzle piece, and English and Spanish number words on the other side. 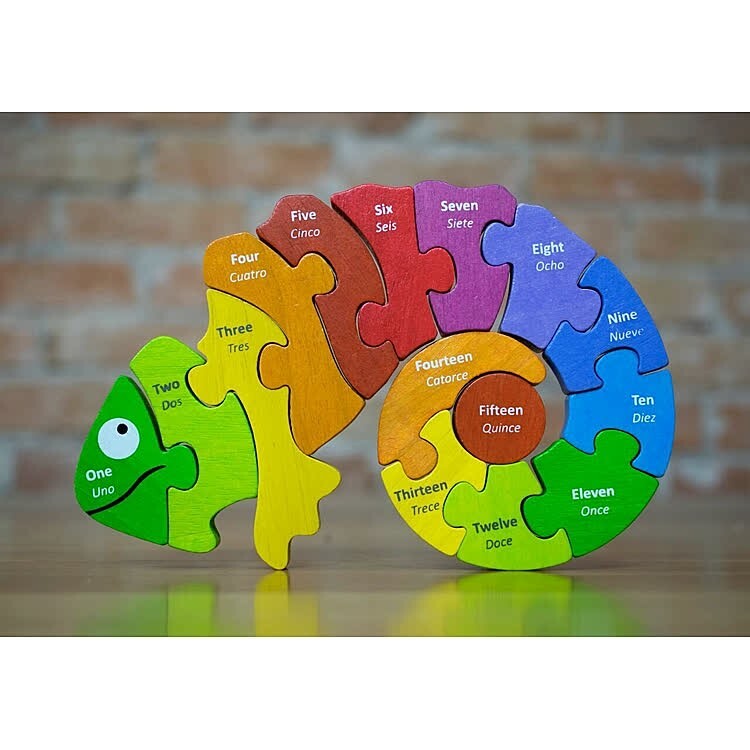 Meet the colorful chameleon who will teach you numbers in Spanish and English! 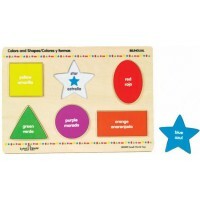 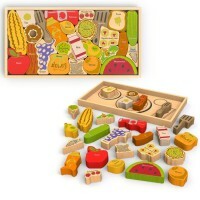 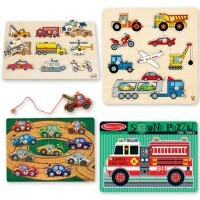 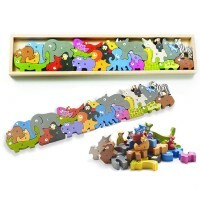 This quality wooden puzzle from the award-winning Colorado toy maker, Begin Again, does not have to camouflage! 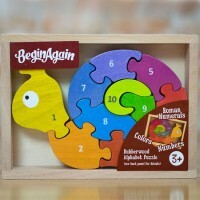 The colorful chameleon will be surrounded by friendly children who will love to assemble this wooden jigsaw again and again. Counting Chameleon Bilingual English Spanish Number Wooden Puzzle features 15 unique shape pieces that together create a smiling number chameleon. 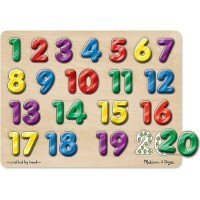 Each rubberwood piece has a number, from 1 to 15, on one side, that is spelled out in English and Spanish on the other side! 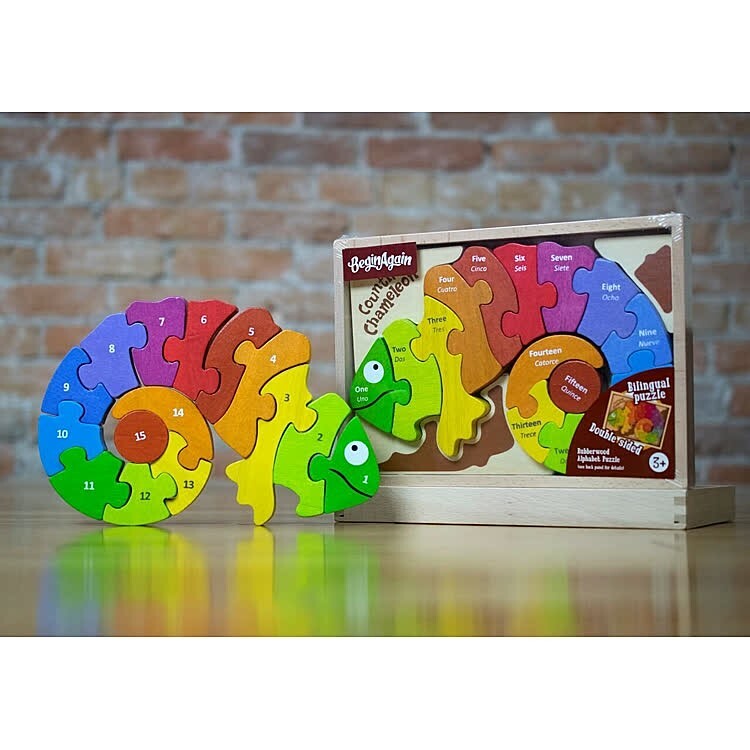 Counting Chameleon Bilingual English Spanish Number Wooden Puzzle is quality handcrafted from plantation-grown rubberwood, stained with child-safe, non-toxic dyes, independently tested to conform with all US toy safety regulations. 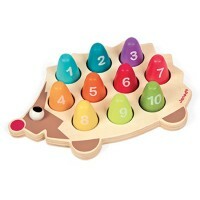 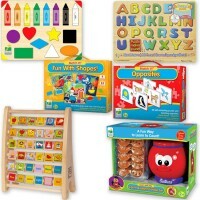 This bilingual numbers teaching toy from Educational Toys Planet measures 10.5 x 7.5 inches and comes in a tray that’s great for storage, travel, display, and wrapping up for a gift!. 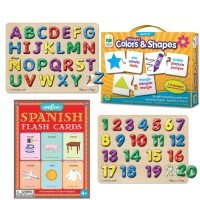 This Spanish-English number puzzle offers great educational toy for kids, who have Spanish as their first language, or for children, who learn Spanish as the second language. 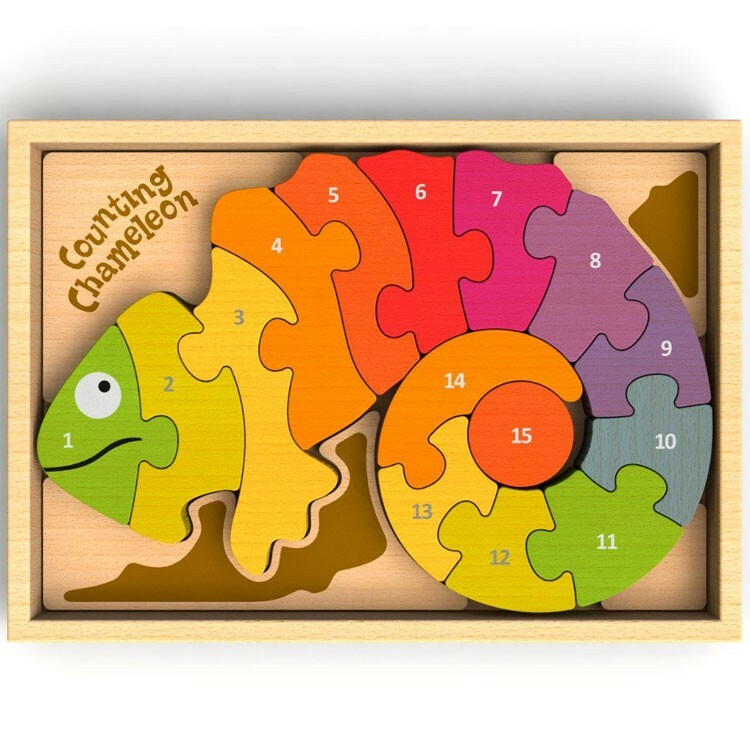 Dimensions of package 10.5" x 7.5" x 1.1"
Write your own review of Counting Chameleon Bilingual English Spanish Number Wooden Puzzle.